Communicating to the general public what your company is doing for the community can have a huge impact on peoples’ perceptions of your organization and the type of work you do. I recently read an excellent article written by Truckinginfo.com’s editor-in-chief, Deborah Lockridge, who points out seven ways to improve trucking’s image. One of the suggestions to help improve the image of the trucking industry is for companies to sing their own praises, to communicate openly and frequently the good your organization is doing for the community and on a national level. The benefits of this kind of self-promotion are far-reaching. I still remember reading an article in 2010 about how FedEx Custom Critical created a custom, temperature-controlled trailer to transport loggerhead sea turtle nests to safety after the Gulf oil spill. I was so impressed with that act of community service that I told everyone I could about it for the next few months. I’m sure FedEx didn’t do this for the publicity, but the fact that it was publicized made someone like me aware of the good that they’re doing. The more acts of service that are out there for the general public to see, the more the perception of trucking is likely to improve. 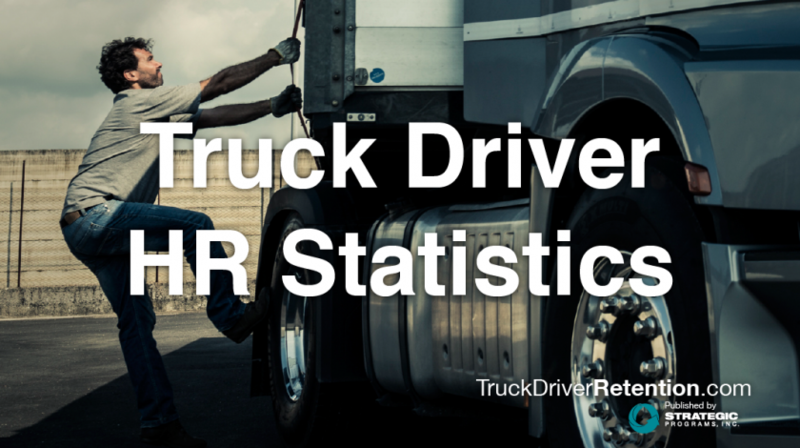 According to the American Transportation Research Institute, two of the biggest concerns facing the transportation industry in 2012 were driver retention and the driver shortage. I’m sure these concerns are still around in 2013, and I believe improving the overall image of trucking can help with both. Pride in working for an organization is a contributing factor to employee engagement. I am willing to bet that the more your employees know about the good you’re doing in the world, the more pride they will have in working for you. Sing your praises not only to the community or to the press, but also to your employees. Let them know frequently that they’re working for an organization that cares about them and also cares about the community and the country. Our studies have shown that an engaged employee is more likely to stay with you and stay productive than a disengaged employee. Do you know what your applicant pool looks like? If it’s not happening already, your pool of recruits will soon include Generation Y or “Millennials.” This generation is shaping up to be much different than Gen X or the Baby Boomers; they’re not driven as much by money or success. Millennials are more motivated by social consciousness – they want to know that the work they’re doing is going to make a positive difference in the world. Therefore, it will be extremely beneficial in the upcoming months and years to market the good you’re doing for recruitment purposes. Show these Milliennials how much trucking positively affects the way we live and show them how your company is doing good for the country and you will likely attract more young applicants who want to be a part of such a good thing. Ensure you’re attracting & selecting the right applicants for your culture with PDP pre-hire assessments, and keep them onboard with our New Hire Check-In program. Ready to learn more? Send us an email or call us at 800.800.5476.